With the advent of cloud computing and the advancement of technology, the number of servers and data protection has increased exponentially. These servers generate heat, which must be moved away from the electronics to keep them working at maximum efficiency. There are many ways to transfer heat and keep your server cool. Check out our suggestions how to keep your server room cool below. 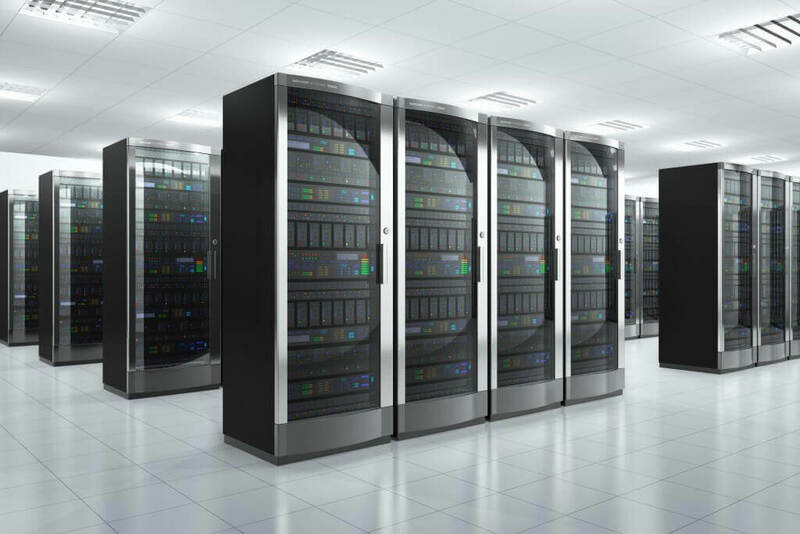 Modern Data Centers arrange server towers in rows for accessibility and cooling efficiency. One solution is to arrange racks in a hot aisle/cold aisle configuration, involving positioning server racks in alternating rows, with cold air intakes facing one aisle, and hot air exhaust facing the other. Generally, cold aisles will face air conditioner output ducts while hot aisles face return ducts. The idea here is to concentrate hot air in one aisle, and cold air in another. This allows servers to operate more efficiently, moving air around and cooling in an efficient manner. When using a hot aisle/cold aisle configuration, there are a few best practices to follow. The floor should be raised by 18 inches so that air pushed by AC equipment can pass through. If you are running cables under the floor, ensure that the cables are under the hot aisle, and are not blocking airflow running through the floor tiles. Blanking panels should be used to enclose open racks. This ensures that warm air is not circulating through the racks and raising the temperature of your servers. Cold rows should also contain perforated and raised access floor panels. Due to the physics of air (cold air sinks while hot air rises), servers at the top of the frame could still overheat. Installing perforated floor panels in cold aisles forces cold air to go through the front of the racked servers and pull the cold air through the intakes, evenly cooling interior components. This server room technician is properly distributing components for maximum airflow efficiency. The current installation practice involves running network cables over the tops of the server cabinets. In addition to evening out airflow and cooling, this has the added benefit of making it easier for service providers to run, drop, access, pull, and trace cables. When cables are installed over the top of server cabinets, wire mesh raceways are used. That way providers can drop the necessary number of wires through the holes in the wire mesh and allow heat to pass through the raceway. Install raceways at least 4 inches above the cabinet, instead of resting directly on it. This allows removal of the cabinet without disturbing the network cables. When installing servers in cabinets, it is recommended to distribute the numbers so that each server rack has the same number of servers. Imbalances can cause one air conditioner to work harder than another. A good rule of thumb is to limit the maximum peak load per rack to around 8.5 kW, and the average working load to 5.4 kW. Modern data centers are using solid-wall server racks, forcing air to come in through the front of the cabinet and exit through the back. Previously, cabinets had holes in the tops and bottoms, and sides were removed. However, as more server cabinets were added, the airflow would be forced to find the path of least resistance to exit through the top of the cabinets. Solid-wall cabinets prevent heating/cooling inconsistencies by directing the path of the airflow. If you have any questions about how to keep your server room cool, contact The Severn Group. 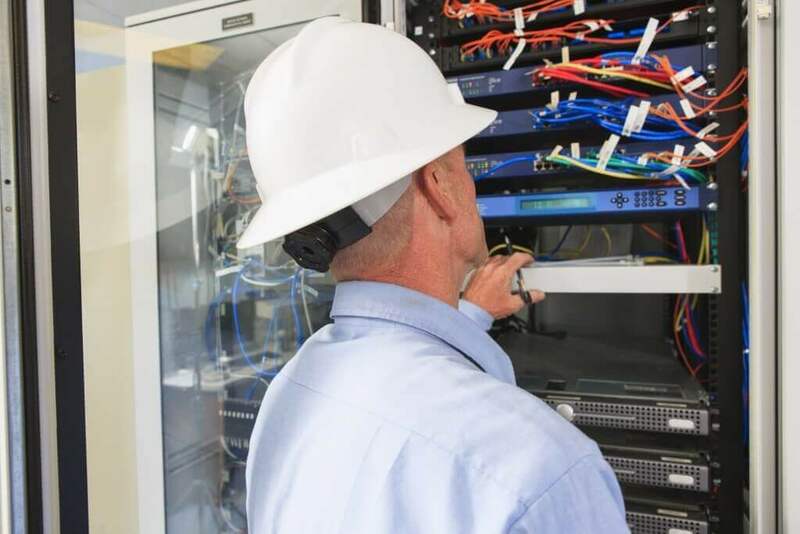 Our experienced technicians will work with you to formulate the best cooling solution for your server room. Why should you get your ductwork inspected?